Kathryn A. Wallis, age 78 of Westlake and formerly of Summit, NJ passed away suddenly on January 28, 2019. Born May 9, 1940 in New York, NY she was the daughter of the late Elsie Diehl and Howard Wallis. She was the loving sister of Barbara Wallis of Upper St. Clair, PA, who preceded her in death, and William (Gail) Wallis of Downingtown, PA; dear aunt of Emily (Jeremy) Viehland of Pittsburgh and Jillian (Bryan Tysinger) Wallis of Santa Monica, CA and 6 great nieces and nephews. Kay had a 42-year career in business, mostly in Human Resources Management. She was an active volunteer at the Rocky River Presbyterian Church, the Cleveland Zoo, Lakewood Hospital, Lakewood Arts Festival, and Bide-A-Wee Cat Shelter. She was a proud member of the P.E.O. Sisterhood. 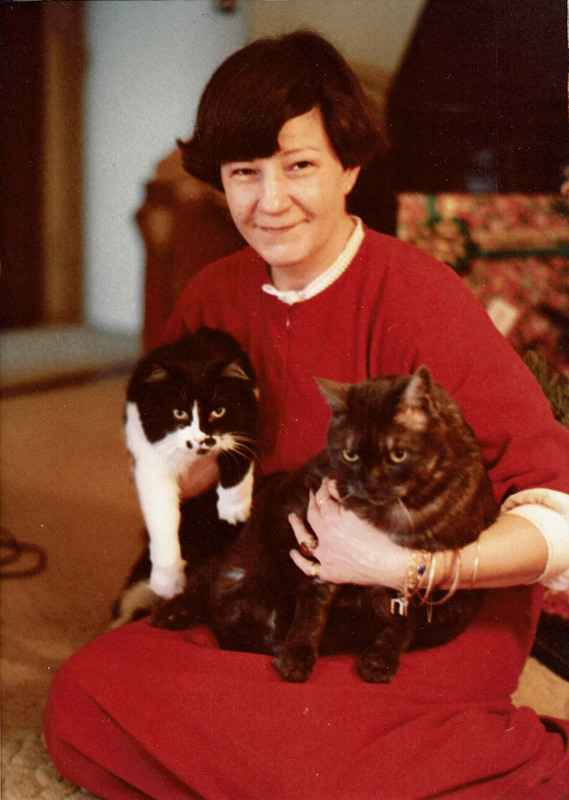 Her friends and family know how much she loved her cats and watching football. Family and friends are welcome to attend a memorial service on Friday, April 5, 2019 at 2:00 PM at the Rocky River Presbyterian Church, 21750 Detroit Road, Rocky River, OH 44116, 440-333-4888. In lieu of flowers, memorial contributions may be made to the Cleveland Zoological Society, 3900 Wildlife Way, Cleveland, OH 44109 or at https://www.clevelandzoosociety.org/donate. My sincere condolences to Kay’s Friends and Family. I worked with Kay at Control Data in the late ”70’s and early ’80’s at The Lakewood location. Kay was pleasure to wok with, but most of all, Kay was Friend to all who worked with her and who knew her. She will be missed by all of us. As a coworker of Kay’s at Control Data I remember her always being a knowable and respected member of the team. Her smile and friendly ways is what I remember about Kay. My condolences and we are praying for the family. Kay and I worked together at SBC/CDC for several years. Kay was a dear friend and the ultimate professional. I will never forget her, and will keep her family in my prayers. My condolences to Kay’s family. Worked with Kay at Control Data Corp.
for many years. Always remember her love and passion for cats, and animals. A toast to a lovely lady. Also shared many mornings with her at the coffee shop at Warren and Detroit across from CDC with my late husband Ken. RIP friend and co-worker. My condolences to Kay’s family and friends. I had the pleasure of working with Kay at the Zoo for a number of years. She was a passionate woman and I really enjoyed her company. My condolences to all of Kay’s family and many friends. I had the distinct pleasure of volunteering with Kay at the Cleveland Metroparks Zoo, where we both were docents, until our health forced us to leave. Kay and I were members of Chapter J P.E.O. sisterhood. We shared the same birthday, but not year! I always loved her winning smile! My sincere condolences to Kay’s family. Kay and I spent time together as cousins in the 1940s and later in our lives as dear friends. It is with a heavy heart that I send this message to my cousin, Bill, and his family; as I am not able to attend this service today. I am so sorry to hear Kay passed away. She and I were good friends at Summit High School. Spent many Friday night’s riding around Summit in her Jeep.